First on flat ways, then on mountain paths up the Estaing valley to the Lac du Plaa de Prat and the Liantran lakes. A very pleasant, entertaining and diverting tour in a beautiful mountainous environment with diverse scenic impressions. 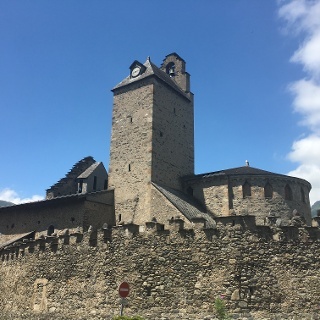 Accompanied by inspiring views of the peaks in the southwest, the tour starting at the Estaing lake takes a broad way along flat grassland, which is interspersed with numerous small streams and watercourses. 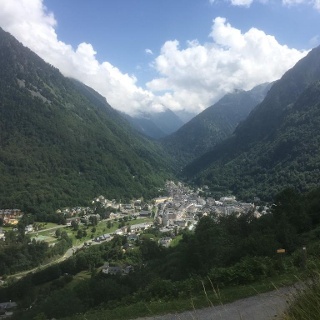 It then leaves the valley floor and turns onto a trail that ascends evenly on the slope, with the mountain river Gave de Labat de Bun on the left. At the Plasi bridge, from where there is a nice look back at the already covered track, the river is crossed. 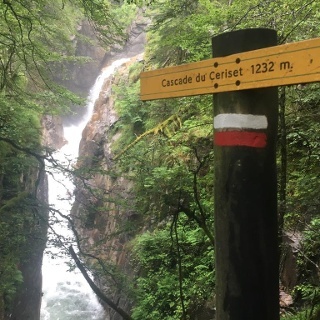 Departing a bit from the watercourse, the tour leads quite steeply at first, then more gently uphill over a fir-forested step in the terrain to then find itself in the narrow, upper part of the Estaing valley. The sometimes somewhat stony path gets near to the watercourse again and leads up the valley through open bush, grass and coarse gravel terrain between the mountain sides to the left and right. In an alternation of almost flat and slightly rising stretches, it gains barely noticeable in altitude. Past the Toue de Cetira, an ancient shelter built of pieces of rock, and the very small, sometimes dried out lake Lac de Langle, it reaches a small elevation behind which, a little deeper in a valley basin, there is the Lac du Plaa de Prat. The pleasingly located lake offers a beautiful view of the mountains rising in the southwest. The hike continues a little further along the lakeshore, past the Cabane du Plaa de Prat, and then up another step in the terrain. On the way upward, somewhat steep for a short while only, the Gave de Labat de Bun and a stream coming from the right are crossed on footbridges before the upper end of the ascent and the small Liantran lakes are reached. There opens an elongated, slightly flattened basin forming the head of the Estaing valley. Hiking boots and weather-resistant clothing. Walking poles may come in handy. The Cabane du Plaa de Prat is a very simple hut, where some people can stay. However, it is possible that it is used by shepherds. Depending on the prevailing general weather situation and the trail conditions to be expected, the hike can also be undertaken outside the recommended months, but not during winter. Start and end point: Lac d'Estaing, upper end. At the upper end of the lake, cross the river over the Pont de Pescadou bridge, then left. Continue on the way, cross a watercourse. Stay on the path and cross a second stream. Immediately thereafter, turn right at a fork (Lac du Plaa de Prat sign). Uphill, ignore a turn to the right and continue uphill to the bridge Pont de Plasi. Cross the bridge and stay on the path that without crossroads or forks leads to the Lacs de Liantran. There is no direct, regular connection to the starting point of the hike. Bus lines, for example from Lourdes or Argeles-Gazost, serve only Arras-en-Lavedan or Arrens-Marsous. Arriving from Argeles-Gazost: on the D 918 (Col d'Aubisque). In Arras-en-Lavedan turn left onto the D103. After 2.5 km straight ahead on the D13. After 1.6 km, continue straight on, again on the D103, to the lake. Along the lake to its upper end. Arriving from Col d'Aubisque / Col de Soulor: in Arrens-Marsous turn onto the D105, then follow the indications "Route des Borderes / Col des Borderes". Over the pass and down to Estaing. There, turn right (D103, Arricastres) and continue to the lake. Free parking at the lake. Lac d 'Estaing is a very popular place for recreation and leisure activities. During the holiday season, the parking spaces can be crowded, especially on weekends. Further parking possibilities then below the lake on the access road. 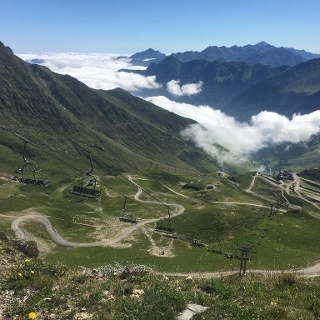 Cable car to Cirque du Lys. 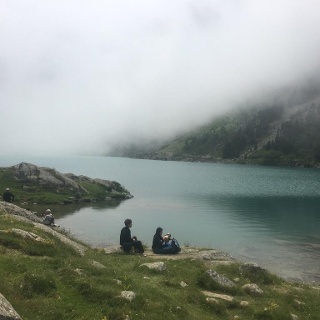 Walk to Cauterets via Lac d’Iheou. Transfer to Viscos. Walk to Luz Saint Sauveur via Pont Napoleon.